Therminol 55 fluid is designed for use in non-pressurized low-pressure, indirect heating systems. It delivers efficient, dependable, uniform process heat with no need for high pressures. Product availability: Americas/Asia Pacific. Contact your local sales representative for more information. Long Life—You will get years of reliable, cost-effective performance even when operating your system continuously at 290°C (550°F). This means you do not have to over specify your fluid. Excellent resistance to fouling— Because Therminol 55 is a synthetic fluid, it resists the effects of oxidation 10 times better than mineral oils making less oxidation and solids formation. For systems without nitrogen inerting, the performance advantages are significant. Excellent Low-Temperature Pumpability—Therminol 55 is still pumpable at -28°C (-18°F ), compared to some mineral oils that will not pump at temperatures below -7°C (20°F ). 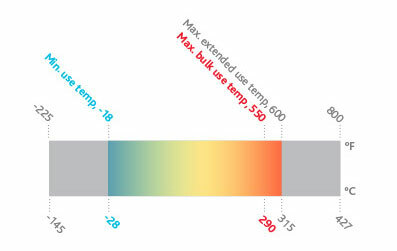 With Therminol 55, your heat transfer fluid system can start up quickly and easily.